We will select more than 12 cells from above list. Lifeline Cell Technology, KURABO INDUSTRIES LTD. 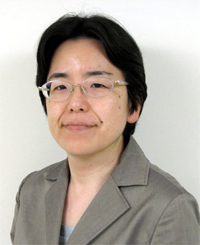 Team Shirahige collaborates with the above private companies for developing unique methods to obtain, reserve and transfer endothelial cells derived from healthy donors. 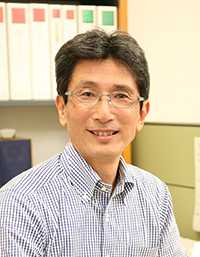 The aim of this study is to contribute to the International Human Epigenome Consortium (IHEC), which has been established to comprehensively characterize the standard epigenome profiles of multiple normal cell lineages from different human populations, as one of several Japanese member teams supported by the Core Research for Evolutional Science and Technology (CREST) division of the Japan Science and Technology (JST) Agency. We are attempting to reveal the whole picture of mechanisms regulating gene expression, e.g. DNA methylation, chromatin modifications, and abundance of each RNA species, of normal epithelial cells of the digestive system, e.g. the stomach, colon and liver, and the urinary system, e.g. 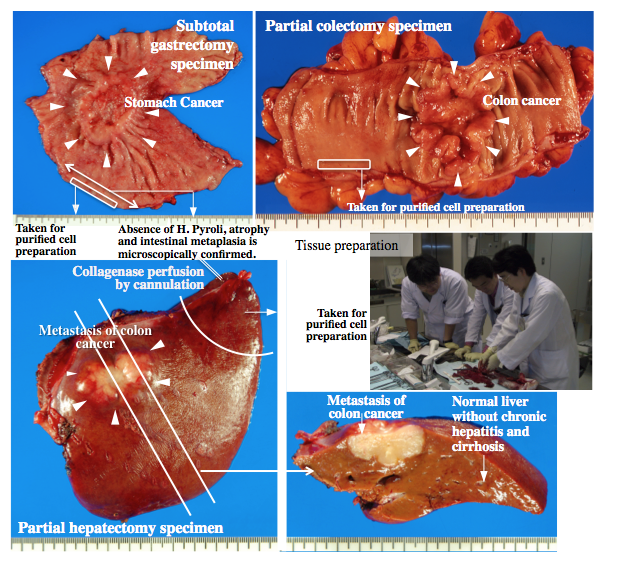 the kidney, from multiple Japanese people. 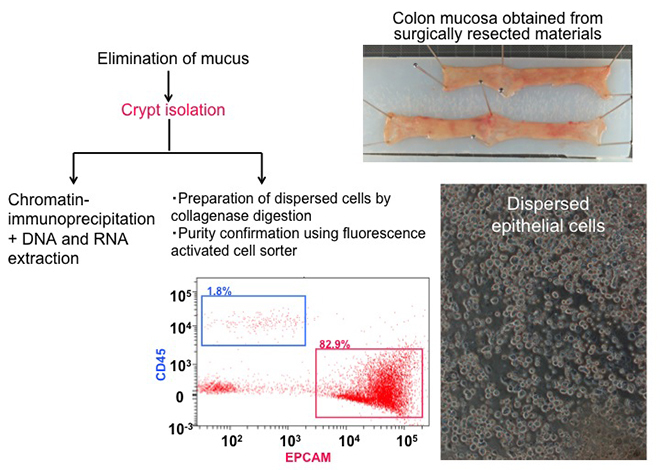 Quality viable cells are purified from surgically resected materials from patients who provided written informed consent in National Cancer Center Hospital, Tokyo (Figure 1). In addition, we are developing and improving innovative technologies, e.g. 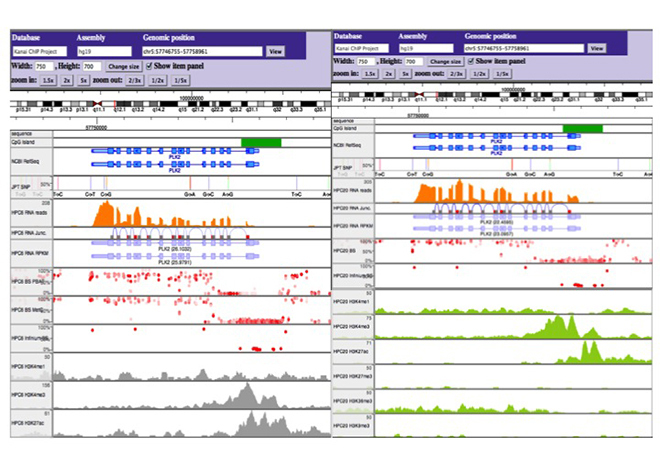 the post-bisulfite adaptor-tagging (PBAT) method for whole-genome bisulfite sequencing. 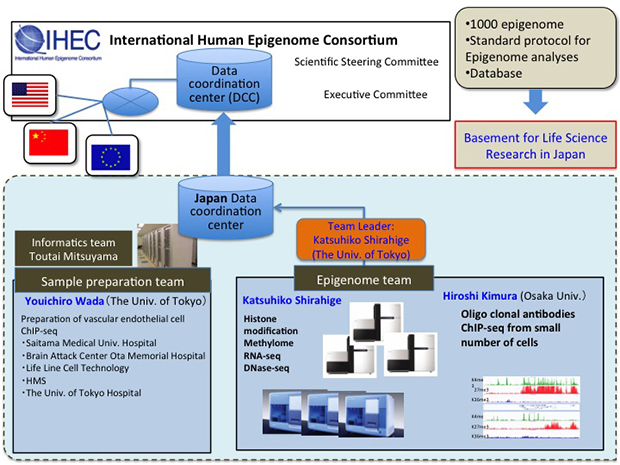 Reference epigenome database by IHEC will promote the innovation of diagnosis and therapy of human diseases through the efficient identification of disease-specific epigenome profiles. Our body consists of more than 250 cell types. While each cell has the same DNA sequence, protein modifications and their binding pattern(so called epigenetic information)defines the specificity of each cell type. 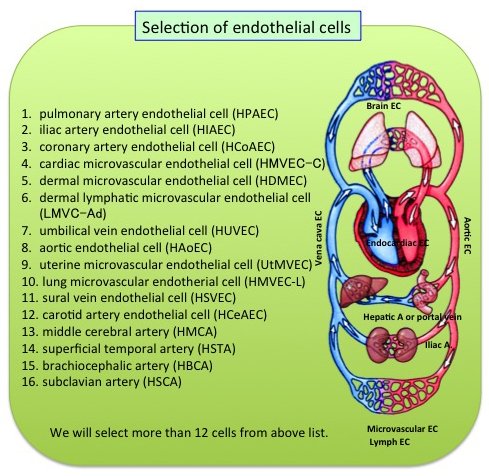 The aim of this study is to develop the new standard method to analyze whole picture of epigenetic information and use the method to explore whole-genome epigenetic information of various endothelial cell species. Our ultimate goal is to contribute to the International Human Epigenome Consortium through both epigenomics data and technology development. 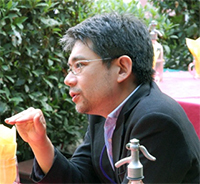 These data and methods are expected to contribute to basic research and drug discovery as well. This study aims to determine the reference epigenomes of the human placenta and endometrium, which constitute the fetal-maternal interface, for future use in studies of human diseases associated with reproduction and development. 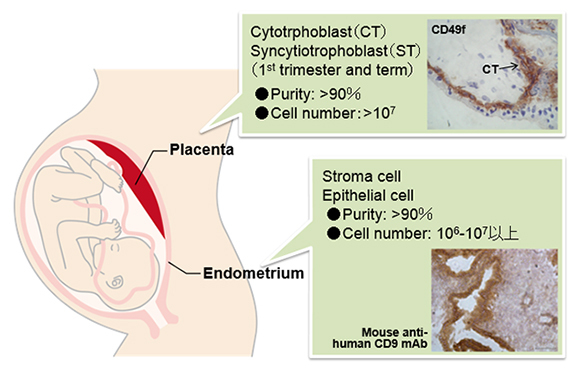 In the placenta, we focus on cytotrophoblast and syncytiotrophoblast cells (both at first trimester and at term) and, in the endometrium, we focus on epitherial cells (at the follicular and secretory phases) and stroma cells. To this end, we will develop and establish the technologies to isolate these cells and analyze the epigenomic modifications. We will further try to determine the epigenomes of disease samples, such as pregnancy-induced-hypertension placentae, hydatidiform moles, and endometriosis specimens, to search for disease-specific changes. We will also determine the methylomes of sperm from oligospermic patients for their use in the improvement of assisted reproductive technology.